Single Tank hold 18kgs or two tanks hold 8kgs each, the chocolate temperer can use difference capacity tank for this machine. Professional chocolate temperer heat by Hot air system. Adjustable Temperature according to your demand. 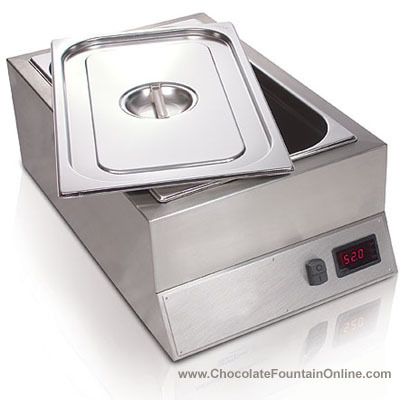 Also you can find bain-Maries Chocolate Melter and 4kgs Chocolate Tempering Machine. of your chocolate and your environmental conditions. type V crystals required for perfectly tempered chocolate. 1. Melt your chocolate as above. another 3-5% of seed chocolate.